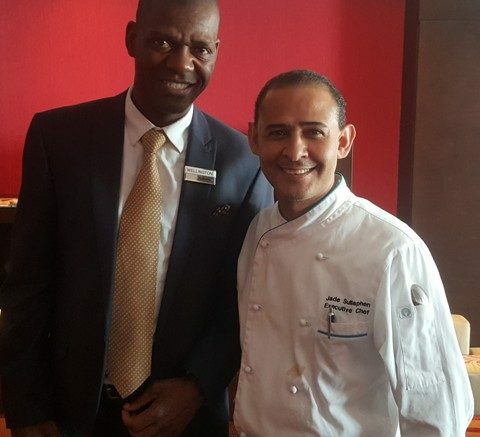 * Left to Right: Wellington Mpofu, Director of Sales & Marketing and Jade Sullaphen, Executive Chef, all of RadissonBlu Anchorage Lagos Hotel. RadissonBlu Anchorage Lagos Hotel is offering unbeatable discount for rooms and conferencing facilities to celebrate the festive season in grand style. The offer according to the hospitality giant currently ongoing ends January 13, 2019. According to the General Manager of RadissonBlu Anchorage Lagos Hotel, Kevin Kamau the offer is to celebrate the festive season and assure guests of the hotel’s superior hospitality service. 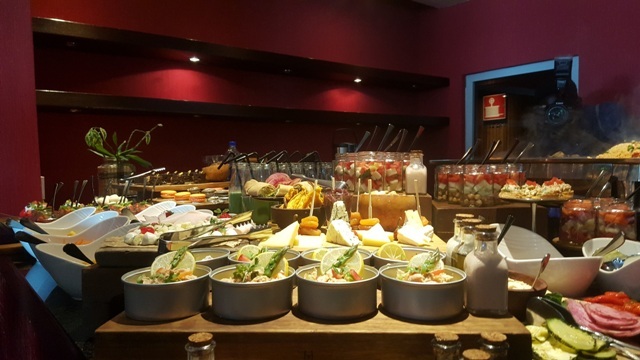 In the same vein, RadissonBlu Anchorage Lagos Hotel has introduced special festive season menu to create a more exquisite varieties of culinary taste for guest either with the buffet or a la carte option. Be the first to comment on "RadissonBlu Anchorage Lagos Hotel Offers Unbeatable Discount For Yuletide Season"